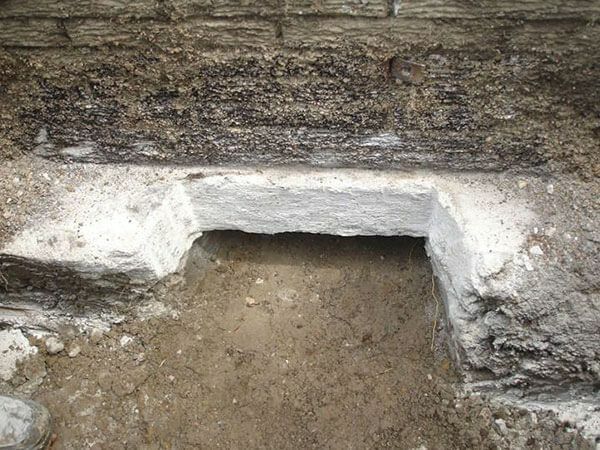 Changes in the soil around and under your home are the primary causes of foundation settlement. Extreme moisture changes, such as drought conditions or oversaturation, along with poorly compacted fill soils, create soil movement. That movement shifts and settles your home, causing cracked walls, uneven floors, and a sinking foundation. 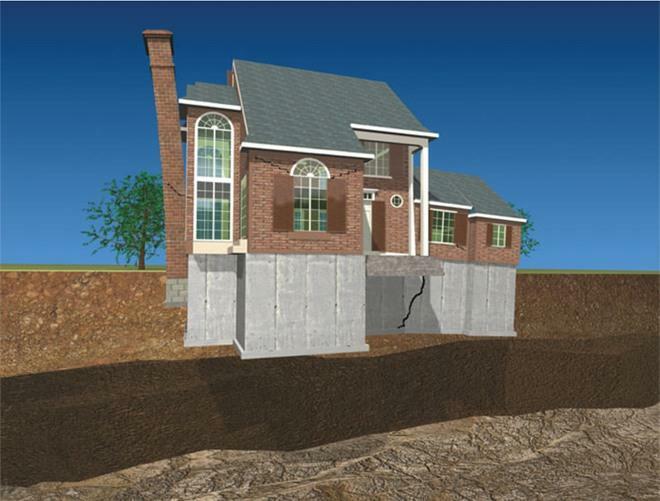 TerraFirma's Push Pier system is installed in bedrock - the most stable soil level - and offers a permanent solution to your home's foundation settlement problem. 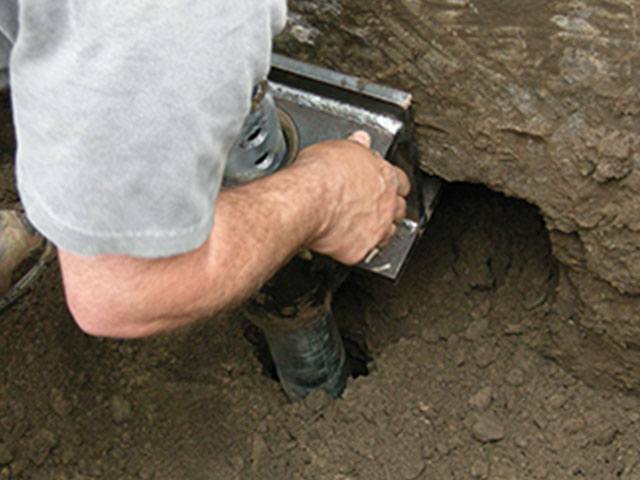 TerraFirma Push Piers not only stabilize your home but they also offer the best opportunity to raise your home back to its original level, increasing value. This system is also minimally invasive - small, portable equipment is used during installation so there are minimal mess and disruption to your property and home's comfort. 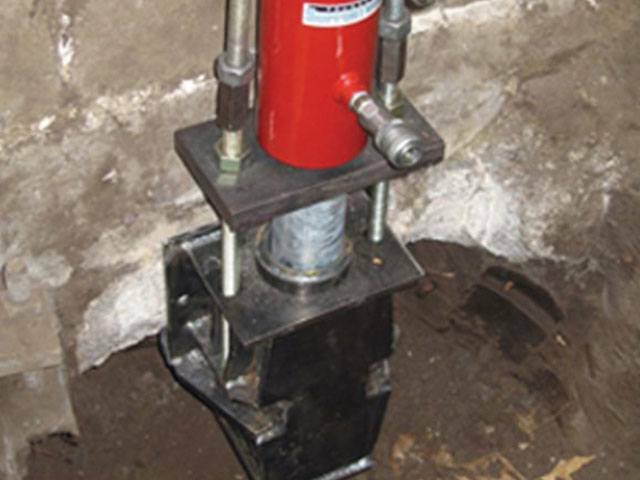 TerraFirma's exclusive patented Push Pier System permanently stabilizes your home's foundation and in many cases can lift your home back to level. Rugged steel tube sections are hydraulically driven through steel foundation brackets to reach the depths of load-bearing strata. The weight of your home is then transferred from the currently unstable soils through the piers to the competent soil or bedrock. 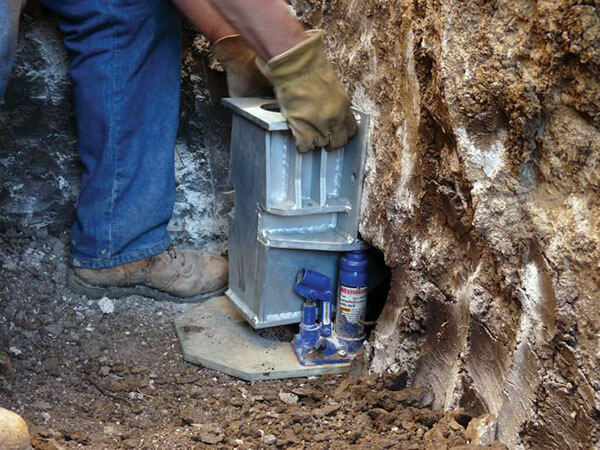 The system is also uniquely designed to potentially lift your home, making TerraFirma's push piers the best solution for complete foundation stabilization and lift. Restore your property value and your peace of mind. Call TerraFirma today and schedule your free onsite inspection and written estimate. Our trained and trusted system design specialists will provide you with a thorough review of your home's individual circumstances and will provide you with the best solution for your individual needs. The Footing is exposed and prepared for bracket installation. The Bracket is secured to the prepared footing. Galvanized steel pier sections are hydraulically driven through the bracket to competent soils or bedrock. The Weight of the home is transferred through the piers to competent, load-bearing strata. Where possible, TerraFirma will also be able to lift the home back to a level position. The Push Pier system reaches greater depths than most other options. Does not require the use of heavy machinery. The system is galvanized and will not rust. This is a below-grade solution, concealed from sight above ground. This system can often lift a foundation back toward a level position. We're here to help you find the perfect solution for your home, and find out the source of your foundation problems. 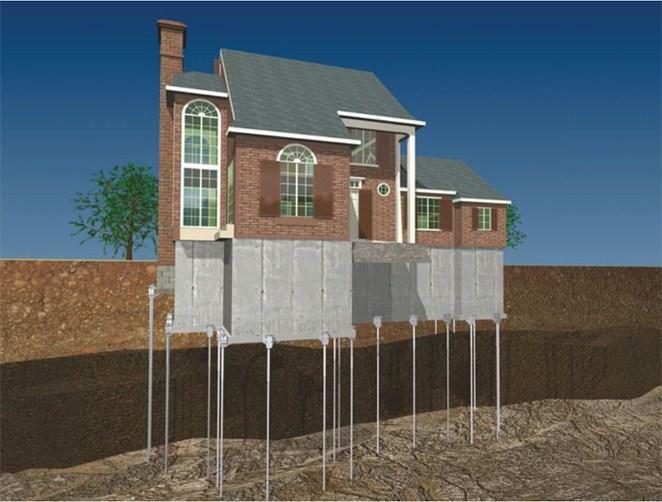 Rest assured that the TerraFirma Foundation Systems exclusive Helical Pier System will immediately stabilize your settling foundation and will permanently protect your home against any further movement. Our Push Piers come with a 75-year warranty from TerraFirma.